Happy Saint Patrick Day to the Irish and the Irish at heart ! Each year on March 17th, everyone can be Irish. It's time for some "wearin' of the green". On and around March 17th, it's a custom to wear one or more green items - such as a hat, tie, sweater, shirt, and especially the shamrock - or you just might get pinched !!! People put food coloring in their food and drink, some cities hold parades, Chicago even colors the river green. But how many really know what these customs are all about? When do we celebrate Saint Patrick's Day each year? I wrote these 7 original short poems as limericks - most of them as prayers - to give honor to the faith and protection of Patrick, the missionary to Ireland, who lived in the 4th and 5th centuries. It all started with a young man who was captured from his family and taken as a slave to Ireland many years ago. Do you know the story of the shamrock? What does the symbol of the shamrock mean? 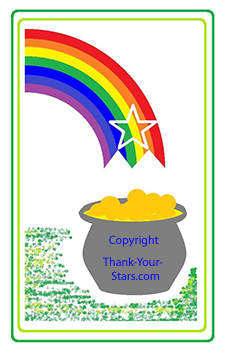 I've also posted some of my own images and photos of shamrocks and 3 leaf clovers. Saint Patrick is honored as the patron - the special protector - of Ireland and the Irish people. Over the years, many Irish people had to leave Ireland, because of persecution. Many people also left during the Irish potato famines in the 1800's. The Irish have settled in many places around the world. Many of them have kept the customs of their rich Irish heritage. In some places, there's a parade on St. Patrick's Day.